Elvy John Wagner, 92, of Loveland, Colorado passed away October 15, 2018. He was born in Atwood, Colorado on March 27, 1926 to John and Kathryn Wagner. He was the oldest of 12 brothers and sisters who grew up on the family farm in Atwood. Elvy joined the military in September 1944 and served as a Paratrooper for the 152nd Airborne Anti-Aircraft Battalion, a division of the 11th Airborne. He married Marian Bath in 1947 and had 3 children; Kathleen, Sandra and Monty. Elvy had a long career with the Division of Wildlife as a Game Warden starting in Walden and eventually in the Larimer County area. After retiring from the DOW in 1982, Elvy worked as a security officer at the Loveland Outlet Stores. Elvy was preceded in death by his wife, parents John and Kathryn, and his siblings Peggy, Janice, Phyllis, Evelyn, James, Jerry, Delores, Paul and Gene. He is survived by his brother Wallace Wagner; sister Ardith Bouchard; children Kathleen Proctor, Sandra Kelly and Monty Wagner; grandchildren Casey Robinson, Adam Proctor, Mary Beauchamp, Daniel Wagner and Diana Wagner; as well as his great grandchildren Kaylee, Joslyn, Jack and Archer. Elvy was well known in the community as the Game Warden who was stern but very fair. He loved flying and obtained his pilot’s license in Walden and went on to earn his commercial and instrument rating. He made many trips in a 182 Cessna to the family-built cabin in Lac La Ronge Canada. 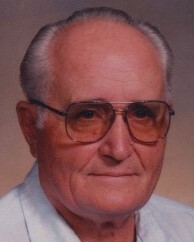 He was an avid outdoorsman and especially loved to fish in the big lakes surrounding his family cabin. Elvy also learned taxidermy and had quite the collection of various mountings. With farming as a big part of his background, in his spare time, he helped several local farmers plow and disc their fields. 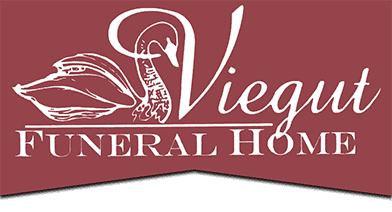 A Memorial Service with Military Honors will be held at Viegut Funeral Home on Friday, October 26, 2018 at 11:00 A.M. A reception will be held at the Viegut Reception Center following services. Inurnment will take place at Loveland Burial Park.